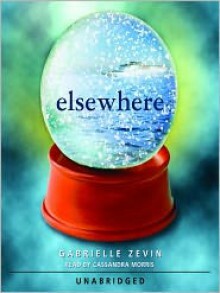 In many ways, Elsewhere is out of this world. Within this pleasant, inviting place, so much like Earth, no one gets sick or grows old. In fact, everyone is growing younger. For 15-year-old Liz Hall, who arrives in Elsewhere after her demise, aging backward is not a happy prospect. Like any living teenager, she wants to turn 16, not 14; yearns to fall in love, not reenter infancy. Gabrielle Zevin's first teen novel about being dead offers keen insights about living. Loved this book! I just about cried twice, but had to restrain myself since I was reading in public. Beautiful.